Ontario’s heritage community is mourning one of its finest. Stephen A. Otto died peacefully in his sleep April 21/22, 2018. Earlier this year he was awarded the Order of Canada at a special ceremony in Toronto. Steve's friend Michael Vaughan wrote to Steve on that occasion " As long as I have been involved and it has been a long time now, whenever a heritage question has arisen, the first thing anyone says is "Call Steve." For generations of us you have been the 'call to' person, so the Nation's recognition of your contribution through your Membership in the Order of Canada, will be felt by many as recognition of their own work and confirmation of the public worth of their efforts. Also, and perhaps more than merely collaterally important, your lesson of active and engaged celebration of our heritage, has generated an institutional response including Heritage Toronto and Heritage Canada among many others." Friend Rollo Myers writes--"I have known Stephen Otto for more than thirty years and have an ever-increasing admiration for his judgment, knowledge and impeccable research on anything to do with Ontario’s history -- and his determination invariably underpins tangible outcomes that have brought about positive, significant change." He is a special friend to the Architectural Conservancy of Ontario, a member of its President's Circle. Steve brought to heritage a unique set of skills; he was descended from a loyalist family who came to Upper Canada in 1794. He graduated in history from Cambridge and also had degrees in business from the University of Toronto and the Harvard Business School. He had an extraordinary memory for historic facts, and an exceptional interest in the people in any story, past and present. His accomplishments are numerous. First there were his updates on Eric Arthur’s landmark Toronto – No Mean City. Then his Once More Into the Breach that chronicled Fort York’s long history of trials and tribulations, then his participation in the award-winning urban design proposal Fort York – Setting it Right, both of which gained Toronto City Council’s attention, and contributed to the success and achievements of the Friends of Fort York, a group of volunteers Steve helped found, provided continuing leadership to, and funds for the Fort York Guard. Steve was active in raising funds for the new Fort York Visitors Centre, including a generous personal donation. When he died, he was nearing completion of a book on Ontario architecture, planned for publication by U. of T. press. Steve initiated and advised Parks Canada’s precise delineation of the Fort York National Historic Precinct and encouraged and influenced the subsequent addition of significant additional open space for the fort. His research brought back to public attention the original Walks and Gardens legislation – dating to 1818 – of how Toronto’s waterfront should be protected, and this in turn led to Council’s formation of the Walks and Gardens Working Group. The successful international competition for the commemorative artwork to be installed at Union Station is a direct result of Steve’s initial research and participation. Steve’s sought-after advice has influenced the development of – amongst many others -- Toronto’s Distillery District, Spadina House, Todmorden Mills -- and he advised on and participated in successful efforts to return the site of Upper Canada’s First Parliament Buildings to public ownership. Steve was head of Heritage Conservation Services at Ontario's Ministry of Culture and Recreation, and administered the newly enacted Ontario Heritage Act between 1975 and 1981. During this period his initiative resulted in the donation of the superlative Horwood Collection of architectural drawings to the Ontario Archives. He also organized a landmark exhibition in Toronto on the history of Toronto's City Halls and edited a catalogue of the professional library of John M. Lyle. He was remarkably effective in dealing with development and political situations, perhaps because he brought to the discussion a business background gained early in his career working for Laura Secord and Dominion Stores in real estate management. But history, and management of historic projects won out. From 1981 to 1984, he planned and was co-ordinator for the province’s Bi-centennial celebrations. He was a former director of the Ontario Heritage Foundation (now Trust), and a former director of the Canadian Association of Heritage Professional Consultants. He was awarded the Queen's Silver Jubilee Medal in 1977, the Diamond Jubilee Medal in 2015, and has received awards for Special Achievement from Heritage Toronto and from Architectural Conservancy Ontario. Steve has been an active participant in the regular publication -- since 1996 -- of Fife and Drum, the journal of the Friends of Fort York. With book reviews, recipes, historical essays, biographies, research reports, architectural studies and other topics of interest to the 3000 readers. Along the way, he was involved in so many smaller projects, particularly around Toronto, such as finding a dignified location for the bust of Robert Gourlay, or commemoration for Joseph Bloor. As news of his death has started to circulate on social media, many are commenting on his kindness, wisdom, depth of knowlege, gracious manners and just how much we will all miss his expertise and leadership. He was always at work, quietly fixing things, connecting people and dots, right up until the week he died. My last conversation with him was about a gap in the research for the closing paragraph for his book on Ontario buildings. This is an updated version of the piece written to celebrate Stephen Otto's Order of Canada in January. Stephen Otto, who passed peacefully in his sleep April 21/22, will be remembered for his generosity. Generous in spirit and with his time and knowledge. He kept up with a vast circle of friends and acquaintances. He expected them to be as generous with each other as he was to them. There are probably hundreds of stories like this, but when he became aware that I was planning to celebrate a big birthday in New York City, he was on the phone to a friend from Harvard who was a member of the Metropolitan Club to arrange accommodation, an extraordinary place I would never have been able to set foot in otherwise. He was constantly orchestrating, making connections for people and making arrangements all over the place. No-one knows the full extent. Since his death, many have commented on his encouraging words at some critical point in their endeavours. For me, he was a great friend of Built Heritage News, continually sending stories that I might share with others. His early work in the 1970’s and 1980’s at the Ontario Ministry of Culture and the Ontario Heritage Trust established a spirit of sharing among those interested in Ontario’s history. He was as interested in social history as Ontario’s built culture. Right until the day he died, he had an extraordinary memory for all kinds of detail, dates and people. As his health declined, there was never a moment when he was not completely on top of his facts. Buildings were touchstones, and no building story was complete without also relaying the history of its occupants and the architects and builders who created it. And he told those stories with such ease, he was just plain interested in all kinds of things. It was impossible to spend any time with him and not be impressed with his intellectual capacity and how ready he was to share his knowledge. Few today will have first-hand memory of the legendary SAO dinners. During the 1980’s Steve, a fine cook and host, would gather others who were researching different aspects of Ontario’s history to dine together. For these prized invitations, guests were expected to share their knowledge. Through convivial conversations over his steak and kidney pie, Steve broke down academic rivalries between guests like Douglas Richardson, Marion MacRae, or William Dendy, who were all building careers as university professors. Several years back, while Steve was recovering from cancer treatment, John Sewell would visit and take him out for walks to rebuild his strength. In return Steve would organize routes and share the stories of the places as they rambled. He sought out the next generation of talent. Early hires to the Ministry of Culture like Dan Schneider and Herb Stovel went on to important careers in the field. Steve kept in touch, visiting the Stovel family in Rome. There was a steady stream of people in Steve’s guest room. More recently, Matthew Blackett and Shawn Micallef of Spacing Magazine became frequent dinner guests. Shawn later served on the board of the Friends of Fort York. Steve would often offer picnics at Fort York to those with whom he wanted to share his love of the place. Egg salad sandwiches were often in the basket. Steve was perhaps generous to a fault. He was the go-to guy for Toronto history, for scholars, media and so many others. Occasionally he was overwhelmed with requests. The last conversation I had with him the week before he died, he commented that he was still getting calls for information, and that he tried to respond to them even though his strength was flagging. That culture of sharing continues today in the work of so many in the field and may be his most important legacy. For well over a century, St. John’s Ward, a.k.a., “The Ward,” was a working-class enclave in downtown Toronto, situated between Yonge and University, Queen and College. From the 1840s to the 1950s, this community became synonymous with immigration, poverty, vice and squalor. It saw waves of newcomers – African-Americans, Irish, Italians, Eastern European Jews and finally Chinese – settled in dense and often run-down neighbourhoods that city officials saw as crime-ridden slums in need of reform. Yet The Ward was much more than its visible poverty and presumed vice. The newcomers who settled there started businesses, built religious institutions, learned English, hawked newspapers, and attended local theatres. They also made music that evoked their homelands and the journeys they brought them to Toronto. The Ward Cabaret, conceived by the Juno Award-winning musician David Buchbinder, is a lively and inspiring performance of music that was either performed or composed in The Ward in the late 19th or early 20th centuries. The songs draw on the traditions of the ethno-cultural groups that lived in the Ward’s crowded streets – African American, Italian, Jewish and Chinese. Led by Buchbinder, who serves as the artistic director and producer, and featuring performances by his creative collaborators Michael Occhipinti and Andrew Craig, The Ward Cabaret is a 90-minute collection of songs about emigration, love, struggle and traditions lost or renewed. Between musical numbers, playwright Marjorie Chan, artistic director at Cahoots Theatre, has written vignettes based on the lives of Ward residents – stories that express the hardships and determination of Toronto’s earliest immigrants. The performances will be directed by Leah Cherniak, a resident artist and associate director of the Soulpepper Academy. Earlier versions of the show were performed in 2016 and 2017 to sold-out houses at Soulpepper/Young Centre for the Performing Arts and Lula Lounge (check out a short video about that show here). Later this spring, the next iteration, which for the first time includes Chan’s script and actors, will be performed over three nights at the Berkeley Street Theatre, from June 20 to 22. Tickets for the shows are available through Luminato, and can be purchased here. The show has been made possible with support from Luminato as well as through fundraising. Donations are eligible for a charitable tax receipt and will be administered by Diasporic Genius, a project of Tides Canada and David Buchbinder. To donate, please visit the Tides/DG website here. 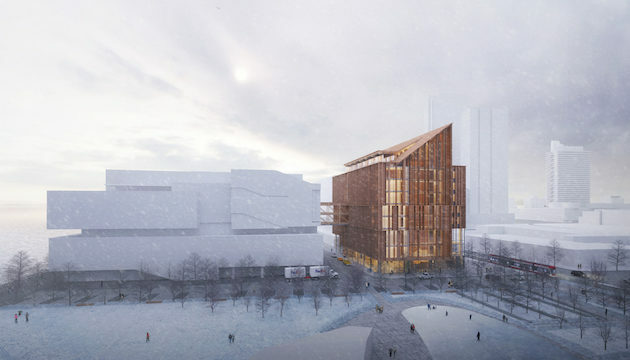 George Brown College has announced that Moriyama & Teshima Architects + Acton Ostry Architects have been selected to design The Arbour — moving one step closer toward construction of Ontario’s first tall wood, low carbon institutional building. Poised to transform the Toronto skyline, the team’s eye-catching design for the planned facility features breathing rooms — using solar chimney systems to capture and harness light and air for sustainable natural ventilation. The building design also offers flexibility of learning spaces, enabling walls to expand and contract as needed, as well as a “Made in Canada” approach using nationally sourced mass wood components. 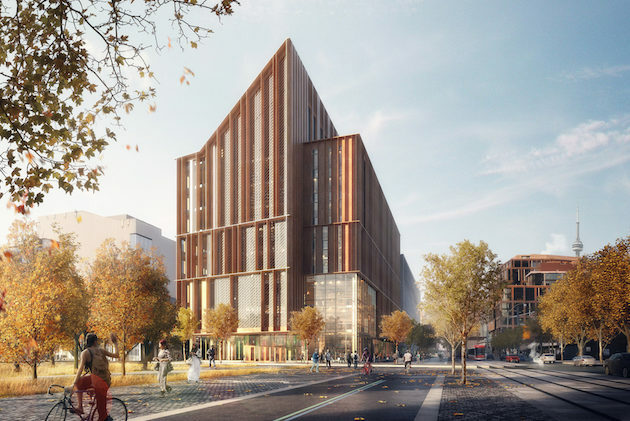 The Arbour, a 12-storey mass timber building at our Waterfront Campus, will mark an important step forward in Canadian mid-rise wood structures and is poised to be the first project of its kind in Ontario. Construction of this $130-million building is scheduled to begin in 2021 at the southeast corner of Queens Quay East and Lower Sherbourne Street, across the street from the Daphne Cockwell Centre for Health Sciences at Waterfront Campus. 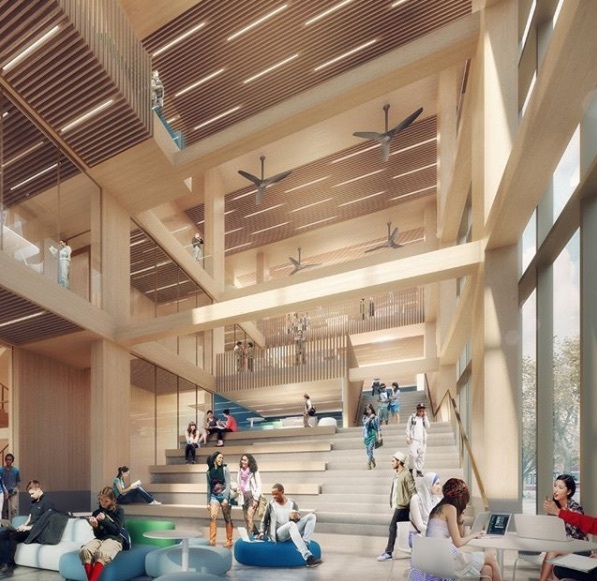 The Arbour will serve as an educational and research hub, and will also be home to a new child care facility to serve the growing East Bayfront community. Who doesn’t love a good underdog story? The journeyman actor – think Paul Giamatti, the late James Gandolfini, Judy Greer or Sarah Paulson – that, after decades, finally gets their name in lights. In architecture, the same holds true. In every era, there are the “star“ buildings and the bit players. For every Gooderham flatiron building, there are dozens of warehouses, factories, office and utility buildings from the 1890s that perform the heavy lifting of city building. The postwar period is no exception. Scan each concrete canyon at Yonge and Bloor and you’ll count journeymen all ’round. A few years ago, the 11-storey head of plain, orangey-brown brick poking up at the corner of Yonge and Charles streets wouldn’t have caught the eye. But, while business might not have been on fire, the Comfort Hotel at 15 Charles St. E. did well enough accommodating the bus-tour-from-Buffalo crowd. Today, wearing a fresh coat of slightly rebellious black paint, Anndore House has arrived to fill the gap between the big five-star hotels and the budget chains. The Anndore House retains the mid-century modern charm of the original building. And owners Silver Hotel Group haven’t extinguished 15 Charles’ quirky mid-century modern charm: “There was some character, some personality, and we really wanted to evolve on that, and bring it into 2017, well it was supposed to be 2017,” laughs general manager Anthony Campaniaris, acknowledging the inevitable construction delays. Editor's Note:If I was a visitor to Toronto, this would be high on my list of great places to stay, it is a great addition to the roster. “As settlement is spreading rapidly west of Dufferin Street, the completed building will be filled almost as soon as it is ready for occupation.” That was The Globe in May, 1909, reporting on the new Kent Public School at the corner of Bloor and Dufferin in Toronto. One hundred and nine years later, the city’s main public school board has sold that very building and more nearby, a total 7.3 acres of public land, to developers – in a Toronto that’s vastly bigger, and growing fast. It’s a short-sighted decision that ignores both heritage and the long-term importance of public land. Why is this happening? In short, because the Ontario government starves its school buildings of money, and this is destroying cultural heritage as well as damaging the experience of students. This larger issue needs urgent attention, and there’s still a chance at Bloor and Dufferin to combine new development and hold on to some history. Toronto has sold Kent Public School (pictured) and nearby Bloor Collegiate Institute to a developer. First, the big picture. At an event on Saturday, I will join the Architectural Conservancy of Ontario to discuss “Toronto School Buildings at Risk.” A quarter of Toronto school buildings, more than 100, are in critical shape, and many more need serious repair. These places are centrepieces in their communities, full of memories and in many cases fine and distinctive architecture. Why are they at risk? For the past 20 years, a succession of provincial governments has failed to provide school boards with enough money to maintain and construct their buildings. As any public-school parent knows, schools are falling down. The maintenance backlog is huge. The economist Hugh Mackenzie, in a recent report for the Campaign for Public Education, measures it as $15.9-billion and increasing rapidly. The Toronto District School Board’s total is $4.05-billion right now. That’s billions of dollars in leaking roofs, rotting windows, aging boilers, rusting stairs. And public assets of historic importance, falling apart. These assets – and those of the Catholic school board – should be managed collectively with the greater good in mind. Right now, they aren’t; the Toronto District School Board is being forced to get rid of space that’s “surplus” to its operations. Which brings us to Bloor-Dufferin. School-board planners have determined that they have too much real estate in the neighbourhood and not many students. In the long term, I strongly doubt that this will be the case. The city is growing rapidly, and the trend is toward denser living in and around downtown. Sooner or later – probably sooner – these public assets will be needed again. But that 7.3 acres will be gone. The site includes the former Kent Public School, closed by the TDSB years ago, and neighbouring Bloor Collegiate Institute, which has been operating since 1925. In 2016, a group of developers led by Capital Developments and Metropia paid $121.5-million for it. The sale of Bloor Collegiate Institute (pictured) and Kent Public School will see both torn down and tall condominiums built on the seven-acre property. In the end, taxpayers will net a new high school and something like $80-million. Against the TDSB’s $4-billion backlog, that’s not even a drop in the bucket. Selling the silverware will not keep this household afloat. And what’s getting sold are places that have shaped the lives of thousands of Torontonians, and some very good buildings. The old Toronto Board of Education’s in-house architects, between the 1880s and the 1960s, consistently delivered some of the city’s best architecture. New owners began renovations this week after discovering heritage property was structurally unsound to be lived in. On a small west-end Toronto street lined by cookie-cutter houses, theres a neighbourhood jewel  or stone, rather. 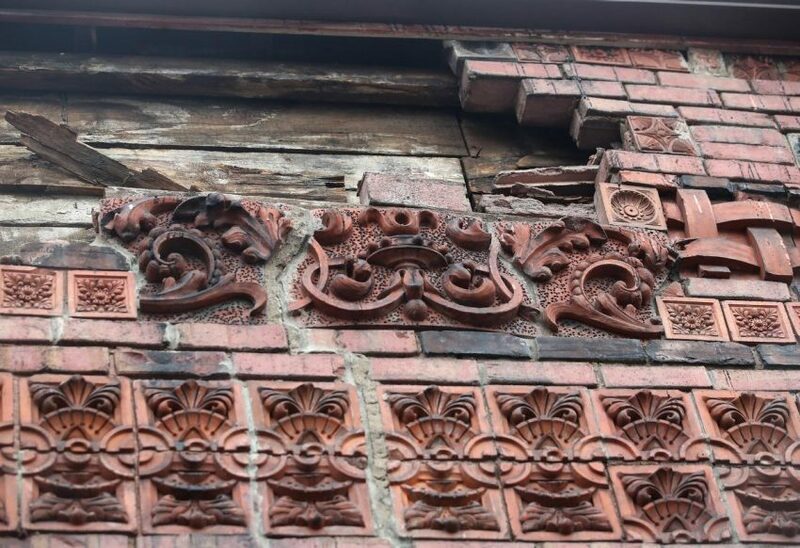 The terracotta-tiled home near Dundas St. W. and Dupont St. is covered in large reddish-brown tiles and lintels with elaborate engravings: rows of leaves, flowers and cherub heads nestled over pairs of wings. signs. New owners took possession earlier this week and began renovations, causing neighbours to fear they may damage the historical property. said Carol Sampson of the construction. Shes lived on Jerome St. for 14 years and said shes seen people come from all over the city to look at the unique house. The state of the property, its not contemporary any longer, but it is very beautiful. Everyone would like to see some attempt at even partial preservation. to the design is part of its heritage listing. Will city step in to save what could be Torontos oldest tree? 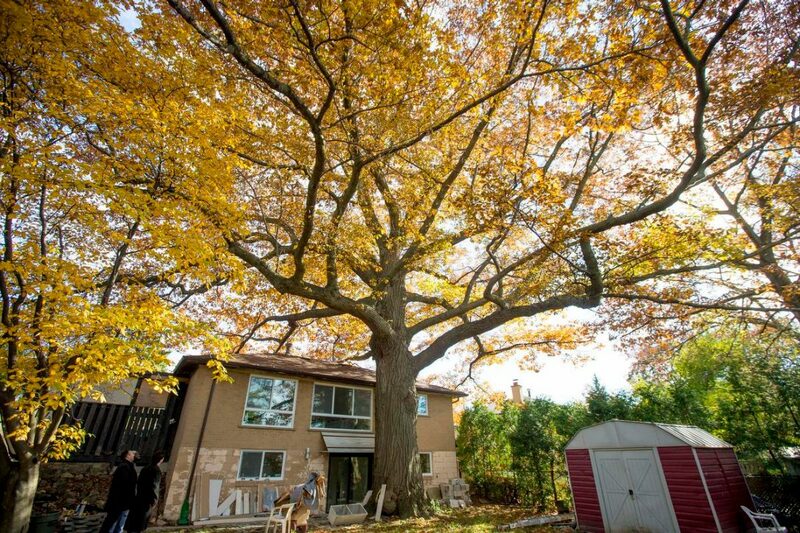 A realtor says a North York homeowner may chop down a centuries-old red oak that is threatening the structural integrity of the house — unless the city agrees to buy the property. The red oak on Coral Gable Dr. may be up to 350 years old, and is designated by the city as a heritage tree. How much is a 300-year-old red oak, perhaps the city’s oldest and largest tree, worth? That’s the question realtor Waleed Khaled Elsayed is asking on behalf of his client, on whose property the massive tree stands. About 24 metres tall and with a circumference of about five metres, the oak frames the bungalow with its expansive branches — nine to 12 metres in each direction — and cups the foundation with its roots. Those roots, Elsayed says, are the problem. 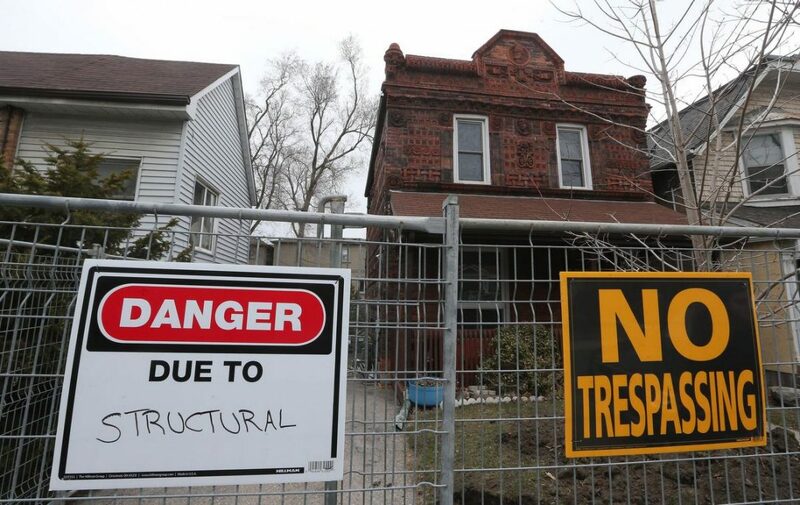 The gnarled invaders have snaked under the foundation of the North York home and curl up against it, threatening the structural integrity of the house and representing about $60,000 to $80,000 in “lost opportunity” for the homeowner, Elsayed said. 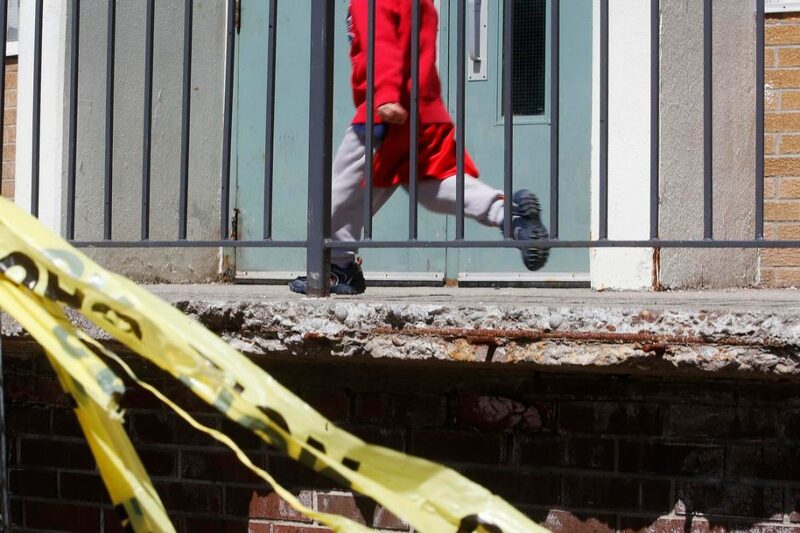 “Perfect storm” of inadequate provincial funding, politics and old buildings is behind a repair backlog that has tripled in the past 15 years to a whopping $16 billion for Ontario schools, symposium hears. The average age of the TDSB’s 547 school buildings is 62 years — almost twice the provincial average. The leaky roofs, crumbling walls and broken furnaces plaguing Ontario schools aren’t just bad for students and teachers. They also erode local heritage, warn experts in architectural conservancy. That was the message at a symposium Saturday that brought together education and conservation advocates to explore their common goals when it comes to caring for the province’s school buildings.“If you defer maintenance enough, you end up having to replace schools,” says Catherine Nasmith, president of the Toronto chapter of the Architectural Conservancy of Ontario.The group wants more consideration given to the historical and architectural value of schools that are in disrepair or slated for rebuilding, as well as underused properties that boards are under financial pressure from the province to sell. The forum on schools was a first for the organization and highlighted the overlapping interests among parent groups, school boards and the conservancy. “It’s a new conversation for us,” said Nasmith. “We’ve been working on this from different perspectives.”Speakers blamed a “perfect storm” of inadequate provincial funding, politics and old buildings for a repair backlog that has tripled in the past 15 years to a whopping $16 billion for Ontario schools.In 2016, the Ministry of Education announced additional funding of $1.1 billion over two years for school repairs, bringing the total to $2.7 billion. But advocates and boards noted while it would cover annual maintenance needs, it wasn’t enough to make inroads into the backlog. Brian Stockton, a Regina-based film maker, has just released a short film about the old Moose Jaw Civic Centre, other wise known as "The Crushed Can". The film is just a short piece, meant to commemorate the arena. "I was always a huge fan of the Civic Centre" Stockton said, referring to his childhood. "I'd always remembered seeing it when we visited Moose Jaw, It was pretty striking." As an adult, Stockton took more of an interest in architecture, that's how he learned about Joseph Pettick. "I went to Grant Road School as a kid, but it wasn't until I was forty that I happened to read the plaque and found out it was designed by Joseph Pettick. I had heard that name before, so I looked into him and found out he'd done all these landmark buildings that were a big part of my life." Pettick was a famous Saskatchewan architect. He made about five hundred buildings in Saskatchewan. Some of those buildings include the Regina Bank of Montreal, the SaskPower building, City Hall, the SGI Tower, and, of course, the Civic Centre in Moose Jaw. Stockton interviewed him for a previous film he did called The Man Who Built My Childhood. "I used some of the footage from the previous film in creating this one" He said. The film is titled Moose Jaw Civic Centre 1959-2012, and it consists of an interview he did with Pettick about the creation of the building. "It was built on a shoestring" Pettick says, in the video, "we couldn't even put insulation on the heating pipes, the heat from the pipes radiated into the stands. It was completed in '59, began in '57."